The Lancaster Desk Chair is a very traditional style that pairs well with other country themed office furniture. 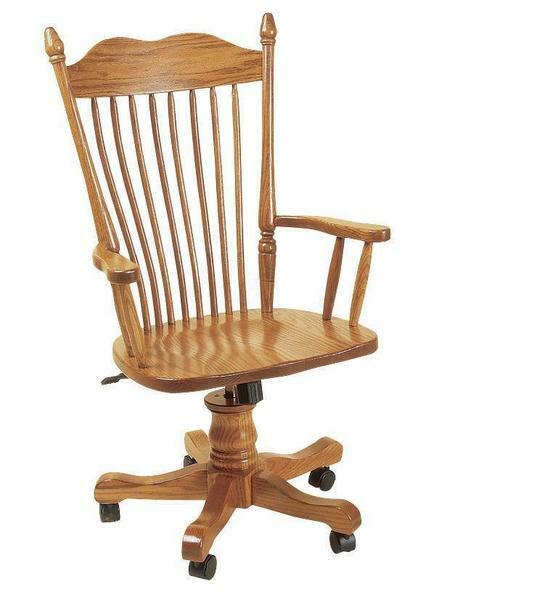 Order your desk chair today online or by contacting one of our friendly Amish furniture consultants at 866-272-6773. Shown in premium oak wood, but also available in brown maple or cherry wood for a more modern feel. Choose a look that is right for you. Height from Seat to Top of Arms: 8 ½"
Height from Seat to Top of Back: 25 ¼"